Welcome to your Amazon Jungle adventure! 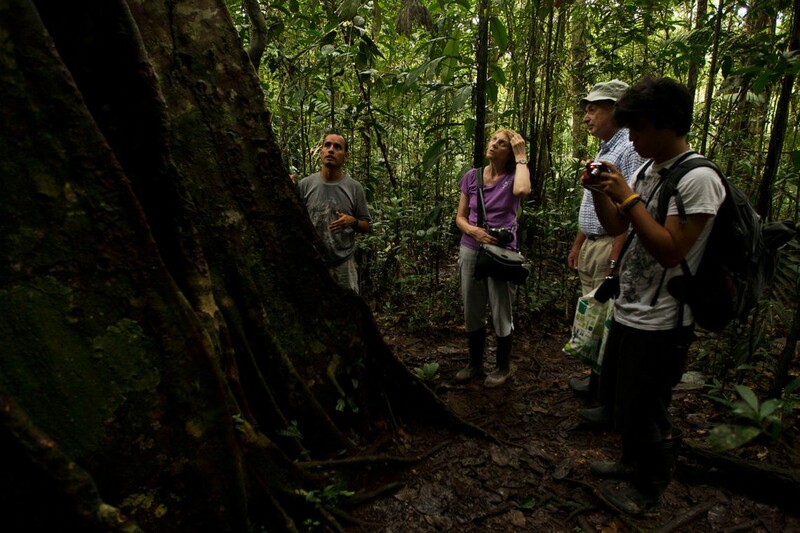 Tailored and authentic Cuyabeno Tours by Tapir Lodge take you to a journey deep into the Cuyabeno Wildlife Reserve. 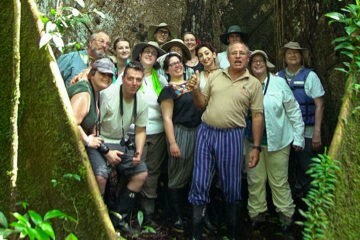 We design all-inclusive, varied and eco-friendly tour options for your jungle trip. Tapir Jungle Lodge is located at the heart of the Amazon Jungle, Cuyabeno and works alongside with the local community for all activities and services. We have designed unique 4, 5 and 7 tour programs in the Amazon flexible enough, so that everybody will enjoy all the activities, always accompanied by our multilingual guide, and in harmony with the jungle setting. Lodge at an eco-friendly infrastructure of rooms built on two towers of 15 meters high each one. Tapir is located right at the purest of the Ecuadorian Amazon Jungle. This Comfort Class jungle lodge was built in 1999 in collaboration with the family members of the Siona community in Cuyabeno Wildlife Reserve. Read more about Tapir Lodge. We have created unique trip experiences with a series of activities to choose from and to be organized on-site along with a local guide and in complete harmony to weather conditions. 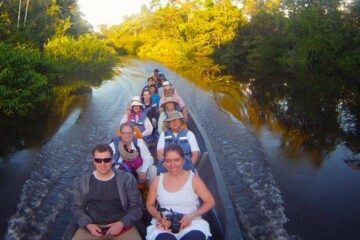 You may choose 5, 6, 8 days jungle tours. You can also customize you experience with camping or specialized activities like photography. Read more about our Jungle tours in Cuyabeno. Submerge deep into the Amazon and feel nature at its purest in a green and sustainable lodge. Why to choose us for your jungle trip? We know the Jungle and the travel tendencies in Ecuador more that anyone. We operate from home and this, of course, means the best prices for you. Tapir Lodge is made up by a group of travel experts who, just like you, LOVE to travel. Personalized experiences is our thing, we hold fully customizable sample itineraries for all our trips. We are experts in the Amazon . We are passionate for our country and love to plan the best itineraries for your trip. Our tours can be booked online and paid with credit card via Pay Pal. All of our trips are adaptable to your budget. Our group of three visited Tapir Lodge in late February 2018 and had an amazing time! Our host, Kurt, was extremely friendly and went out of his way to make sure that we had an enjoyable experience. After interacting with tourists who were staying at other lodges, I’m very glad that we picked Tapir Lodge. 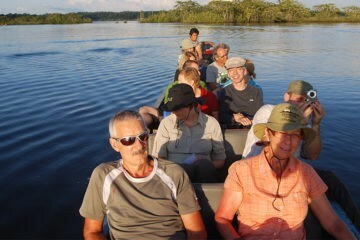 Our trip from Lago Agrio to the lodge was very smooth and filled with wildlife sightings. Our boat driver for the trip knew exactly when to slow down to allow us to take photographs. The lodge itself was beautiful – two towers and a large common area with hammocks, all connected by covered walkways. Our room in the tower was clean, spacious, and was completely wrapped by deck – this made wildlife viewing extremely easy. During our 3-night stay, we saw several rare species of monkeys and birds in the trees directly adjacent to our tower! The chef at the lodge (Raul) is exceptional – we ate very, very well during our time at Tapir Lodge. Breakfast usually consisted of eggs, toast, guava jelly, coffee, tea, and fresh fruit, while lunch and dinner were usually a combination of traditional Ecuadorian soup, grilled meat, rice, fruit, and fresh vegetables. Our itinerary was perfect! I would highly recommend that you visit the local village, as well as take a guided walk through the forest with Kurt – his knowledge of the Amazon is absolutely incredible. Overall, I would highly recommend Tapir Lodge and hope to return soon! My husband and I have been here twice. It is an amazing experience to stay right in the midst of the Cuyabeno nature and wildlife. Kurt is a great host & a superb guide. He is funny, knows a lot about the animals and plants and he is trilingual (ger, en, span). Combined with the most delicious food of cariñho and his team, as well as the cool lodge with all amenities (while being respectful of the environment) & beautiful experiences with the local community, you got yourself a great vacation experience. Now book those plane tickets and get your binoculars ready to spot some caymans and anacondas in the dawn before breakfast!